Have you ever lowered your head for prayer during a Sunday morning service only to catch yourself thinking about lunch? I am ashamed to admit that this very thing regretfully happened to me in March in Topeka Kansas when I was together with a Chinese pastor who is a very close friend of mine. We were together in prayer and all I could think about was lunch. After a time of praying together, we drove to Ling’s Cafe, a well known Chinese restaurant in Topeka and it was not a moment too soon. I was hungry. I knew that Joshua, an underground house church pastor from China, was hungry too. We had not had anything to eat since the day before. All I could think about was sitting down and having an amazing Chinese meal. Ling’s Cafe in Topeka Kansas has one of the largest buffets that I have ever seen. Joshua and I live in China, so we know good Chinese food when we see it. The waitress comes out to our table and offers to take our drink order. Her accent made it clear that she was Chinese, which caught Pastor Joshua’s attention right away. “Pepsi!” I yelled out. I was eager to start eating. I didn’t have time to waste. “And you sir?” The waitress asked Joshua in Chinese. 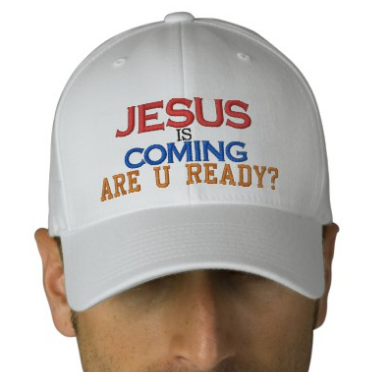 “Are you a Christian?” Joshua asked. “They are asking you what you want to drink,” I jumped in to help Joshua move faster. I was eager to start eating. This was not the time to start small talk. “Are you a Christian?” Pastor Joshua asked again. “Tea? Hot tea?” I asked Joshua. The poor waitress was obviously confused. She was trying to take our order, but Joshua had something other than his stomach in mind. After a minute or so, the waitress admitted that she was not a Christian. She was new to America and had only been in Kansas for a few weeks. She was from Henan Province, Joshua’s home province. Joshua stopped thinking about natural food and began sharing the Bread of Life with the young Chinese waitress. In only a few minutes, the waitress became a believer. A short time later, Joshua also shared the Good News with the owner of Ling’s Cafe. She immediately accepted Jesus Christ as her Lord and Savior. With customers lining up to be served, both the waitress and the owner got on their knees in the middle of the restaurant and began to pray with Pastor Joshua. This month in October, I again traveled to Ling’s Cafe with Brother Yun. Brother Yun and Pastor Joshua are from the same province in China and are best friends. I was again hungry and ready to eat. Prayer was the last thing on my mind, but again, Brother Yun was more interested in the spiritual well being of the restaurant staff. When our waitress came out to serve us, she looked up and recognized me right away. This time Brother Yun came with Chinese Bibles that were kindly donated by a local BTJ Ambassador, a representative that supports BTJ. Below, Brother Yun hands out Bibles to the restaurant staff. This time, Brother Yun was able to spend time with both the waitress and the owner of the restaurant and pray with them. However, this time the cook came out to say hello to Brother Yun. They had no idea of who he is and had never heard of the Heavenly Man book. Within a short time, the cook confessed Jesus as his Lord and Savior. The owner of the restaurant began to cry uncontrollably. She found it difficult to go back to work and serve the customers that wanted to enjoy their lunch. Traveling with these humble brothers from China often reminds me of the meaning of life. There are times when I would like to create a false dichotomy to divide the spiritual from the physical. There are times when I would like to leave all the Christian stuff to be expressed in an appropriate building with a cross and filled with pews. Outside of those buildings I would like to live a secular life and do things – like EAT. However, while working with Brother Yun and the BTJ missionaries from China, I have learned that any division is created by me, not by God. Prayer is continual and evangelistic opportunities are everywhere. The hurting and the lost can only be reached when social barriers are broken down by Jesus freaks. It was not socially acceptable for pastor Joshua to kneel down in the middle of the restaurant to lead two women to Christ, nor was it well mannered for Brother Yun to preach the Good News to the cook of Ling’s Cafe, but three people are now children of Christ because of their actions. Wow, this was just fantastic to read! Praise God for Him moving like He does! Living in Lawrence, KS (which is the next city over to the east of Topeka) can only slightly describe how blessed this makes me feel! Lord willing, I’ll get to visit this restaurant and fellowship with these children of the Most High. And may open doors like this happen more often in the United States. Hallelujah! Glad you enjoyed the article brother. Thank you for the encouraging comment. Yes, I can testify that this it totally true! My 18 year old son was there, and seeing this altered his world and has given him more boldness!! God! May we walk in such compassion for the people all around us everyday!!!! Am impressed with what they did. Lord help us to preach the Gospel in season and also out of season because this is your heart cry. Brethren, choose to also be an intercesors for the world because God is about to do some great things which we don’t know. God count me worthy. This was amazing testimony to me as I many times am afraid of talking about Jesus in public. This shows me that I don’t have to be socially accepted. And I don’t necessarily have to have “appropriate” time to share Jesus. I many times feel like a coward when I feel I would have to share the gospel… Thank You for sharing this! This shows me that God is also above all social rules in western countries. Usually we hear stories about God doing amazing things in countries that oppress Christians. They are encouraging but this encouraged me in a way I am usually not being encouraged in my faith. This was amazing to hear to me! God bless You! Thank you for your honest comment. We are so glad you found encouragement in this simple testimony. 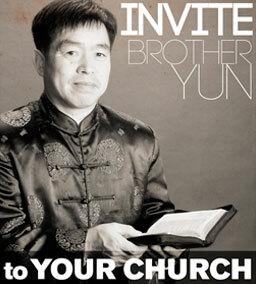 Thank you for your prayers and support of the underground house church of China. i am from romania and in my student time i tryed to preach the gosple to the chienes who lived in my home town and alos to muslims: arabian, pakistanez, turchish. but NO EFECT. where i wrong! thx! Ann my sister in Christ! are u chinese of come from islamic beckground? or if u know converts from these area i ‘d like to shere with them my view and work they can halp me with them informations, advices and preyers! P.S. DID u listen the link from above? Wow this is so convicting. I must confess that I am all to often unwilling to open my mouth and speak because I am so in adequate and not being the right time or place is just any easy excuse. I hope to become more bold in sharing the gospel. Thank you so much.